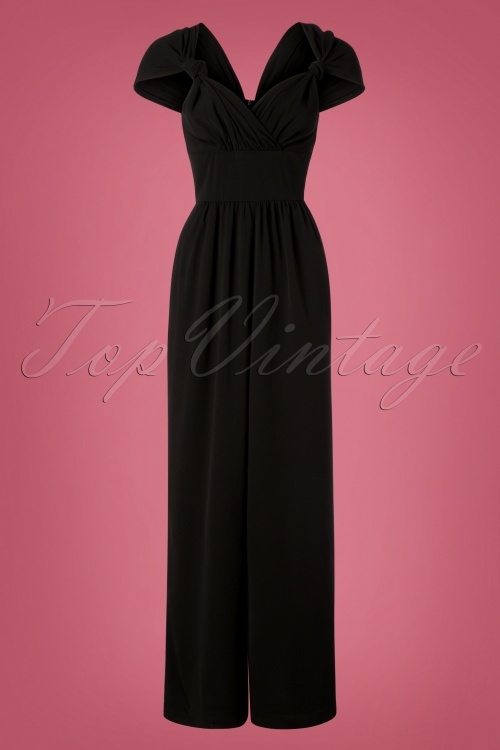 This 50s Isla Jumpsuit in Black puts the 'V' in Vintage! 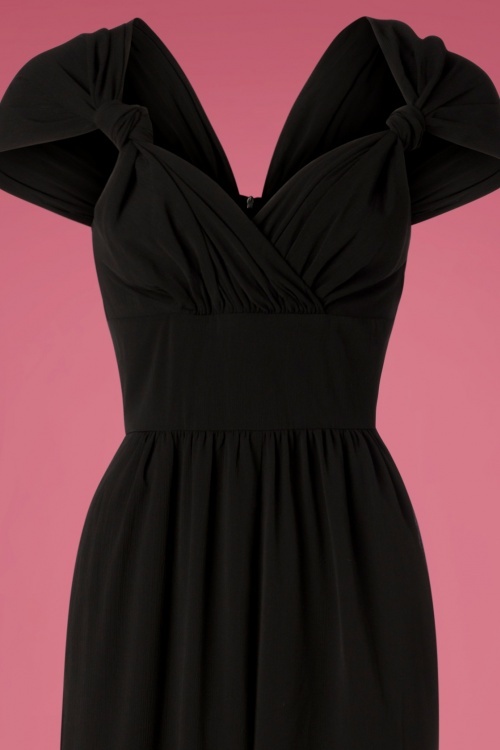 Jumpsuits never disappoint, they're real classics! 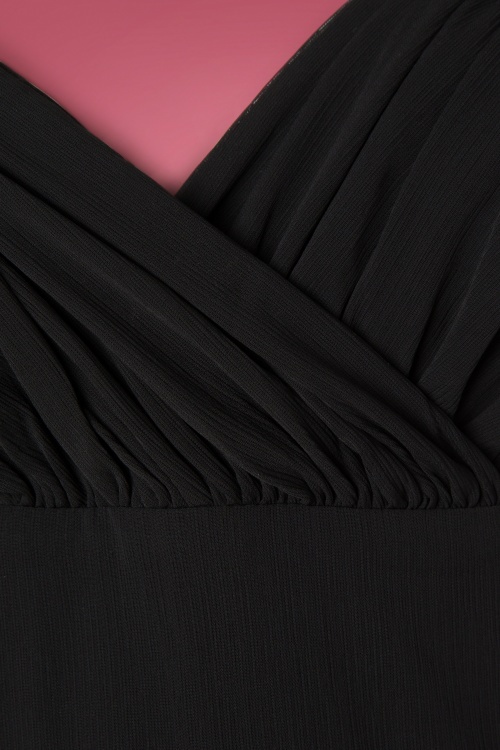 The fitted bodice is classy and sophisticated due to the gorgeous V-neckline with a fixed wrap over and the knotted detailing at the straps. The wide legs are super flattering and in combination with the fitted waist create a stunning feminine silhouette, wow! 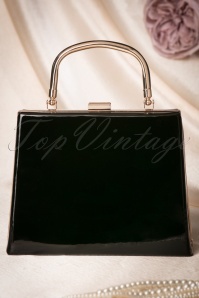 Made of a supple, black fabric (doesn't stretch) with the look of Crêpe de Chine for a real vintage touch. Bring out your inner diva with Isla!